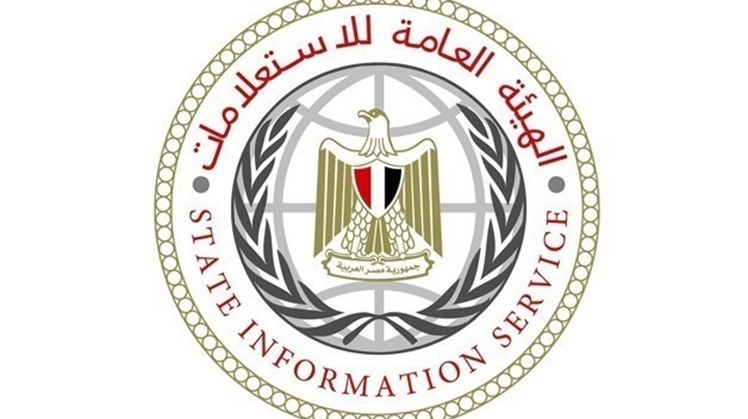 CAIRO - 21 April 2019: On the 2nd day of the constitutional referendum, Egypt's State Information Service (SIS) released a statement on the foreign media coverage of the referendum on constitutional amendments. The referendum on Egypt's constitutional amendments has received widespread media attention worldwide, including the broadcast and publication of thousands of news and video reports in thousands of newspapers, television channels and websites throughout the world and in all its languages. In Egypt, 549 foreign media correspondents submitted requests for coverage permits, where the National Election Authority granted permits to (548) correspondents, and only one request by the British Broadcasting Corporation was rejected, while the list of organizations that received permits includes the biggest international media organizations such as Reuters, AFP and the Associated Press. Newspapers include: The Washington Post, The New York Times, Le Monde and The Times of London. Television channels include: CNN, Al Arabiya News, German Television, Sky News, France 24 and US Al Hurra. This coverage reflects the international interest in this great political event in Egypt, while at the same time highlighting Egypt's keenness to ensure and encourage media participation from all over the world in the coverage of the referendum with transparency. Second: Freedom of International Media Outlets Conducing Field Coverage of all the Referendum Stages in all Premises. Media outlets have covered both inside and outside the premises of the polling stations, and conducted hundreds of interviews with voters, officials, judges, opposition figures and others. All means of follow-up: print, audio and video were used freely in about 13919 electoral subcommittees in 10878 polling centers and 368 general committees, in addition to voting stations for Egyptians abroad. At the time of preparing this statement, no complaints were received from any correspondent that he/she was prevented from practicing his/her work or from entering the committees, or moving freely, or being restricted in any form. All correspondents were enabled to practice their profession and facilities were made available them to give them access to everything related to the referendum process. 1. There is a global consensus on the integrity of the referendum procedures, a consensus on an atmosphere of complete stability and a 100% safe environment on the entire Egyptian territory, despite all the dangers of terrorism in the past. There was also no single media report on any difficulty faced by citizens in reaching their electoral premises, regardless of their political positions or party affiliations. There was also no complaint from any citizen regarding the accuracy and integrity of the voters lists, which makes the referendum one of the most accurate and successful logistical operations in the history of polling in Egypt. 2. In terms of the freedom of the participants to vote or to influence their choices, the international media did not monitor in any way any intervention by the security, executive or other state agencies to influence the positions of voters in the referendum in any specific direction, despite the intensive presence of all parties concerned with maintaining the security and protection of citizens and the democratic process. - The coverage of such claims was limited, not exceeding (4) media reports. - The claims in these reports are contradictory, two of which referred to the transfer of citizens from villages and giving them food in return for voting, which is not true in light of the existence of electoral committees everywhere near the residence of all citizens. These reports mentioned that the purpose is to encourage the exercise of the right to vote and not to influence voters in a certain direction, which confirms the opposite of what the writers of such reports intended. There is no doubt that should the State with all its organs present at all the referendum premises, wishes to counter the will of the voters or influence them, did not need these limited individual practices to encourage voters to cast their ballots in the way they want. -That in the four instances, it was noted that businessmen or party delegates are the ones who provided this assistance and not any State entity. - In one of these reports, readers were misled by using old photos of food supply, including a photo that was published more than a year ago, to think that these photos were taken during the current referendum. Several international media outlets traced the views, positions and activities of the parties and people opposing the constitutional amendments, including the activities of the Civil Democratic Movement, which many media outlets described as including 10 parties and which held a press conference calling for a “no” vote on the amendments, as well as other websites which some media outlets said they had tens of thousands of followers and invited them to vote against the amendments. The international media also polled the views of dozens of opposition figures on the constitutional amendments from all political spectrum, calling on citizens to vote against the amendments. All this has confirmed to everyone the utterly expansive atmosphere for all political parties to freely express their views and practice their political activities. Regarding all that has been published in the media outlets around the world, or through some other organizations on the content of the constitutional amendments themselves, and the jurisprudence on what such amendments mean for the political system and political institutions in Egypt, all that has said in this regard is worthless false readings. The people of Egypt is the only entity, that has the right to express its decisive opinion about these amendments in a unique way known in the world and in all democratic systems through casting ballots. No one has the right to confiscate the will of the Egyptian people, or to jump on its position and decision, which is determined by the results of the voting on the referendum. All that is allowed for everyone is to make sure that the Egyptian people has been empowered to exercise the right to vote freely in the referendum. This is a fact recognized by all the political parties in Egypt and the media outlets that covered all stages of the voting process both in Egypt and abroad.